Yes, this is true, there is no train service from Lima to Cusco. I know when you hear this information you are shocked. But don't be shocked, still there are three alternatives, Bus, car and plane. Rent a car is available in Lima, and the service is not bad. There are a number of air companies fly from Lima to Cusco, and all of them have multiples flights each day. If you like none of them and want to save money on travel, you can move by bus. Not many years ago bus travel in Peru was treated as memorable (!) and horrible experience. But since 2000 situations developed dramatically, roads have reached to international standard and multiple companies with quality bus service have started to serve in these route. There are some routes, like from Cusco to Puno, is so scenic that you will enjoy the journey. And the best thing is that bus tickets are cheap in this country. Even the most luxurious buses are not very expensive here. lights from Lima to Cusco start from very early morning and continue up to evening. Lanperu, TACA, Star Peru and Aero Condor all airlines have multiple flights from Lima to Cusco. Many people arrange their international flights such a way that they can reach Lima early in the morning and then take a flight from Lima to Cusco in the same morning, hence saving time. Here I wrote down the name of the airlines and their website address. I already said that they have lots of flights between these two cities. So you have flexibility while choosing your flight. I have listed the regular schedule of Lanperu airline here. You can get some idea of the flight time looking at this table. See, you can fly as early as 5.35am from Lima, and comeback from Cusco as late as 4.45 pm. But if you are going to fix a flight, must check the up-to-date flights from website. Oh! I forgot to mention the price of the ticket! (I know you are dying to know the price!!). At this moment you can buy a Lanperu ticket in just a little less than 200.00 US $. And it is one way price ( you were not expecting return ticket in this price, were you ?) But other airlines are cheaper. You may get as low as 129.00 for a one way ticket, if you explore all the options. They are sometime cheap if you buy earlier, so if you fix everything, buy the ticket from website. Cruz del sur and Ormeno are the best choice here. Both of them have high quality buses in their fleet. 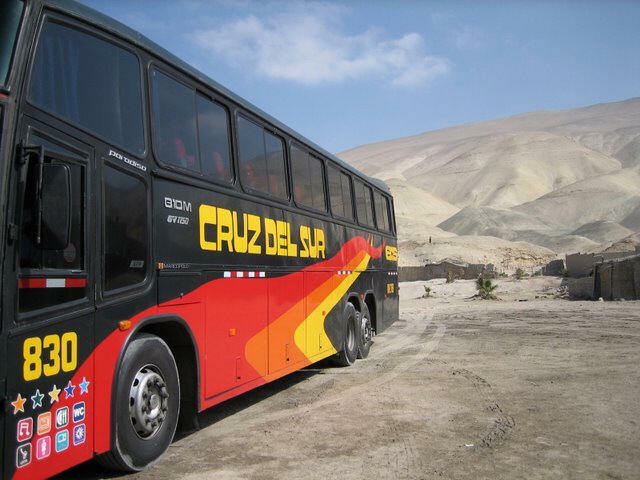 Probably the best bus service in Peru. They three services cruzero, imperial and ideal. 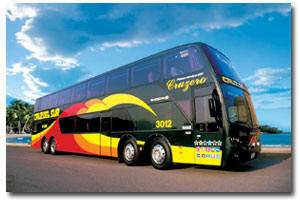 Cruzero is a two level bus, and very very comfortable one. It is a 2 levels Bus. Here in first Level they have VIP Salon or sofa-bed seats and in second level bus bed seats. You can buy your ticket from and to any locations from their website now. If you plan to move by bus then you can save some money here, Lima -Cusco ticket is only US $45.00, even if you travel by Cruzero service. Ormeno has three services, Royal, business and economy. Royal has cama (bed) or semi cama (semi bed) service. Ormeno also is a good company. Only problem is that sometime they are not in time. Here Lima -Cusco ticket will cost you US $ 37.00. A helicopter service from Cusco to Aguas Calientes is now available for those who like to pay extra money to get maximum comfort. This service was provided by a 12 passenger helicopter by Heli- Cusco. 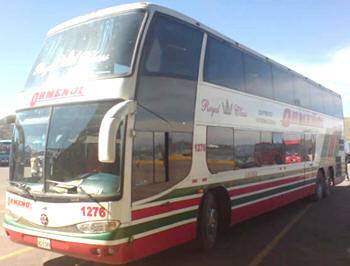 Boleto (Boleto Turístico General, or BTG) is the admission tickets to some sites in around Cusco. If the sites which are included in this ticket matches with what you have in your plan, it is wise to purchase the Cusco Tourist Ticket.